Cargo bikes are a way of life here in the spiritual home of cargo bikes. 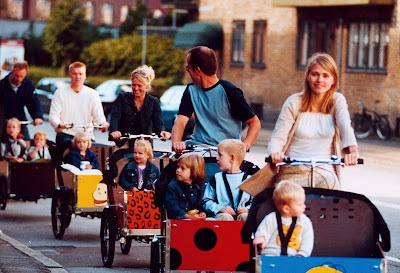 There are many brands to choose from in Denmark and these bikes/trikes are experiencing a period of rapid growth. More and more people are choosing a cargo bike when they have kids, either as their primary form of transport or instead of a second car. The main players on the market are also popular abroad. We've written previously about the Nihola and other Danish brands. But there is another brand that is slowly but surely gaining in popularity, and with good reason. Bellabike isn't just another cargo bike brand. When I visited the owner Erik at their showroom in Copenhagen I was bowled over by his passion and enthusiasm. Other larger brands seem to be merely going through the motions - they have a popular brand and they know and they keep on producing them, which is, of course, fine. But Bellabike still has that passion and enthusiasm surrounding it. What we like about Bellabike most is that it's a husband and wife show and that it all started on a very personal level, without any plans to start a bike brand. It began when Erik's wife fancied a cargo bike. Erik welded a frame together and put on a box himself. There were performance issues with the inaugural bike and the two of them worked in tandem on improving it. Erik's wife was the safety general and Erik followed her suggestions on the construction side of it. They ended up with such a cool bike that soon all of their friends wanted one. Bellabikes - Danish design with emphasis on practical usage. Erik whipped together 11 bikes. However, when he presented their friends with the price tag, they didn't expect to have to pay for them, so Erik and his wife were stuck with 11 cargo bikes in need of a home. Fine. They chucked them into a newspaper to sell them, only to discover that they couldn't do so without a serial number on the frame. Serial numbers are issued by the police. Fine. The police, however, informed them that you could only get serial numbers issued if you were a company. Fine. 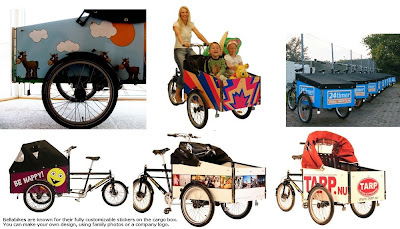 A company was founded in order to offload the 11 cargo bikes. Bellabike has a large workshop just outside of Copenhagen and a little workshop at the back of their showroom where they can assemble bikes. It takes 5-6 hours to assemble a bike. Once everything was in order, the cargo bikes disappeared to grateful buyers in a flash. Only then did Erik and his wife realise they were, perhaps, onto something good. A spontaneous, organic process led to a great idea. 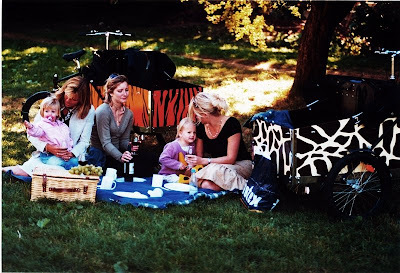 Today, eight years on, Bellabike has wheeled its way into the mainstream cargo bike market in Denmark and Scandinavia and is growing steadily and healthily. The export market looms ahead and Bellabike is preparing to expand abroad. Personalising your bike is a must in Copenhagen and Bellabike has made this one of their trademarks. Bellabike is in constant development. Buyers often bring their own needs to the table and Bellabike will find a solution. Many of their buyers are kindergartens who need to transport kids to parks, museums, theatres, etc. Companies buy them, including a newspaper 24timer, who have fleet of them to hand out their papers on the streets. Families buy them for getting around town with their kids. Bellabike is constantly thinking 'out of the box' with regards to how to improve their bikes. Seating for four kids in a Bellabike. There are many version of seats in the cargo box. Two kids, four kids, one kid and a baby lift. Four kids sitting either across from each other like on a train or in rows like on a bus. Whatever you need, you can get it. Bellabike is cool because it is an idealistic company. They have firm values and they stick to them. You don't pay through the teeth for extras like locks. As Erik said to me, it's all about the bike. Why should they try to make money off of every little accessory? There's nothing more irritating than spending a heap of money on a bike and then having to shell out for puncture-proof tyres, locks, better brakes. All the best gear is standard on the Bellabike. It is also very competitively priced compared to the other players on the market. For a basic model you're looking at between 11,000 and 12,000 kroner [divide by 5 for dollars] and with some customized accessories, you can reach about 15,000 kroner. Still a few thousand kroner cheaper than other brands. The bike has rear wheel steering, which is gaining in popularity. You can turn on a coin and this manoveurability is fantastic in an urban setting. There is hydraulic steering suspension to ensure stable cycling and steering at all times, 3 separate brake systems – disk brake, coaster brake and pivot brake used when parking and the cargo box is made out of aluminium sheets around a safe frame to keep the weight down. Five gears are always helpful on a cargo bike, especially if you have 150 kg in the cargo box. Two generations of Bellabikes - the classic in the background and the newest version in the foreground. Bellabike.com's website is currently only available in Danish, but it is image rich so there's lot's to see. They are working on an English version. - Gallery of customized boxes. - Photos of how the cargo box can be used. Customers who used their Bellabike at their wedding. We like the Bellabike. We like their passion, their values and we like their cool bikes. There's always room for more cargo bike brands in Denmark, especially if they are as passionate as the good people at Bellabike.